If you fly a “true ultralight,” there is technically no medical, no training, and no medical currency requirement whatsoever! A Part 103 Ultralight is an aircraft that is a single seat, weighs less than 254 pounds, and has a gas tank not exceeding 5 gallons, among other criteria. The SP103 from Six Chuter falls into this category. Your Certified Flight Instructor will register graduates of their solo program as EAA or ASC Student Pilots. This isn’t mandatory, but it documents and recognizes the training that has been completed to fly the Part 103 Ultralight. If you stick with the one seat powered parachute this is as far as your training ever needs to go, and is the way we recommend people go that will be flying exclusively by themselves. All pilots who want to fly a two-seat “Light Sport Aircraft” will need to receive training from an FAA Certified Flight Instructor, and earn their FAA Sport Pilot Certificate. Includes an approximate 20 minute flight with an FAA Certified Flight Instructor for Powered Parachutes. This is the best way to learn if you are interested in this sport and is refundable if you decide to take the pilot training course. Personalized Gift Certificates can be redeemed for the introductory training flight and are the perfect gift for the person in your life that has always dreamed about flight. You can order by telephone. This is the hourly training rate that includes the aircraft, fuel, and Certified Flight Instructor for Powered Parachutes. This is loggable training time that can be applied towards your Sport Pilot or Private Pilot license for powered parachutes. Includes pre- and post-flight briefings. This is also a great way to learn about the sport as a once-in-a-lifetime experience in the sky. Personalized Gift Certificates can be redeemed for one full hour of flight training with a Certified Flight Instructor (CFI) for powered parachutes. You can order by telephone. This is the hourly ground training rate by a Certified Flight Instructor for non-flying and other non-engine use activities. Personalized Gift Certificates can be redeemed for one full hour of ground training with a Certified Flight Instructor (CFI) for powered parachutes. You can order by telephone. This covers the mandated 12 hours of training, plus any additional hours required for the student to become competent, confident, and safe, along with aircraft rental. Topics covered include ground handling and taxiing, aircraft pre-flight, chute layout and inflation techniques, in-flight handling characteristics (turns, climbs, descents, crabs), landing techniques, ground reference maneuvers, traffic pattern instruction, and more. Every two years, pilots need to have a flight review in order to stay current with their license. This is an opportunity to spend time with an instructor learning about changes in the rules and brushing up on basic flight skills. The FAA minimum requirement is 1 hour of ground training and 1 hour of flight training. Sometimes it takes a little longer, but that will probably only be on some of the ground training. In any case, $175 covers all of the costs of the flight review. I got my start in Ultralights almost 20 years ago, but now I am a private pilot and CFI-S. I teach down in CT. I come up to NH periodically to visit family. I’m interested in learning how to fly the single seat chutes under Part 103. Though I may be interested in taking it further down the road since I already have the PPL and CFI-S. What are your hourly rates? Please contact Carroll Werren at 603 491-2811 Thank you! Where in CT do you instruct ? He can be reached by emailing chutesup@gmail.com or you can call at (603) 491-2811. How many hours of training does it normally take to get to fly solo? Thank you for your inquiry and interest in flying! To answer your question, that depends on what you want to fly, a single seat or a 2 seater. If you want to fly single seat, then in a few lessons you can be up and flying, depending on your learning style. A 2 seater requires you to take the written and practical exams along with the flight instruction. That is more involved because it requires the operator to obtain a sports pilot license. ….to fly a 2 seater and take up passengers. Thanks and hope this is something you wish to do! If so, call 603 491-2811 and ask for Carroll. Cost and how far in advance can these flights be booked? Trying to plan Summer activities. Is there a weight limit? These really can’t be booked in advanced that easily. Flying these depends highly on the weather and up here it sometimes shifts from the weather reports. A few days in advance might be doable, but even then, the weather could shift on us. As far as weight limit, safely, these can carry about 5-600lbs combined weight of pilot and passenger total, depending on the machine. I like to keep mine around a comfortable limit of about 400lbs. I guess the best thing would be if you are in the area, show up at the airport and if you see us, come on over. We welcome visitors! You can also call Carroll Werren at 603 491-2811. We fly, weather permitting, almost every weekend in Plymouth. Feel free to come on over if you see us! Carroll’s number is 603 491 2811. 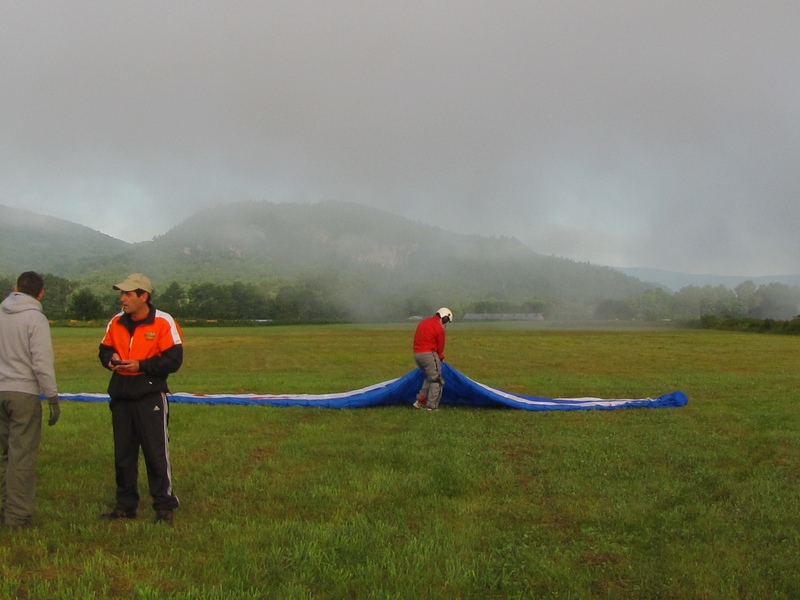 Interested in 20 minute Intro flight and wondering if can double it up for 40 minute flight for a taste of this sport? Cost and how far in advance can these flights be booked? Trying to plan Summer activities. Is there a weight limit? I would to do the sport pilot training. Could you tell me total cost and local lodging. Situated in the mountains, this cabin is close to Plymouth State University. Area attractions also include Polar Caves Park. This is a small motel with cabins…just visited in winter weather. Parking lot plowed & de-iced well each day. The manager told me to turn up the heat as much as I wanted. Rooms are painted cement with flat screen TV, dresser, nightstand, microwave, & larger than normal mini refrigerator. It’s a bit retro feeling, but extremely clean with plenty of space for (2) people with (2) comfy double beds. If you like staying at Marriott’s, don’t stay here…it’s old-fashioned but really good value & free breakfast. This hotel is convenient for me as an overnight stay when visiting family in the north country. This was my first time at this hotel. We had difficulty finding it from the highway. Now that I’m familiar with the turns after the exit, it should not be a problem the next time I choose to stay there. I was especially pleased with the response I received when I called the hotel a few days later, asking for an item I had forgotten in the room. The manager made the effort to inquire and look for the item….it was found and sent to me. Honest and caring people work at that hotel. I definitely would recommend this hotel to family and friends. Situated in the city center, this motel is close to Plymouth State University. Area attractions also include Polar Caves Park.